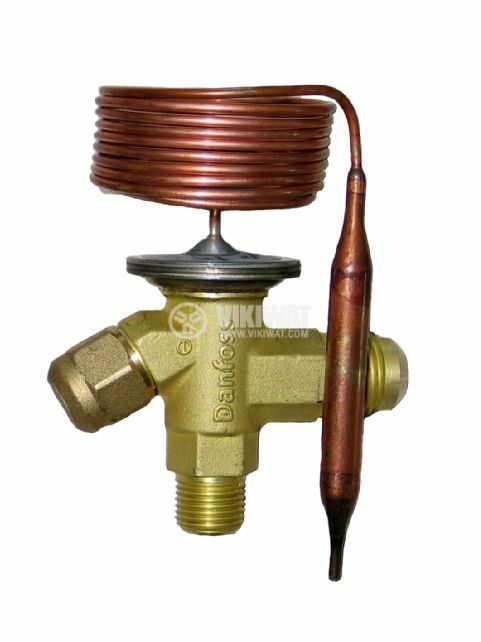 Thermostatic expansion valve, R13 TE 2 Danfoss, with operating temperature range -90°C to -60°C and maximum pressure 28 bar( 2.8 Mpa). List Price: 75.00лв. VAT Incl. Hole dimensions: G 1/2'', 3/8", 1/4"